Working on some new posts. Stay tuned. We can learn so much from yesterday’s fashion icons. And living in a post-Mad Men world means we can even enjoy aspects of current male fashions! Every Friday, I’d like to start your weekend off right with a little style inspiration from either then or now. Hopefully, my fellow Mod enthusiasts will find the whole or some detail of the whole to appreciate and maybe even adopt. ...and slowly it came back to me. THE BLOG! That's right... I used to get a kick out of stylish photos like this and writing about them! 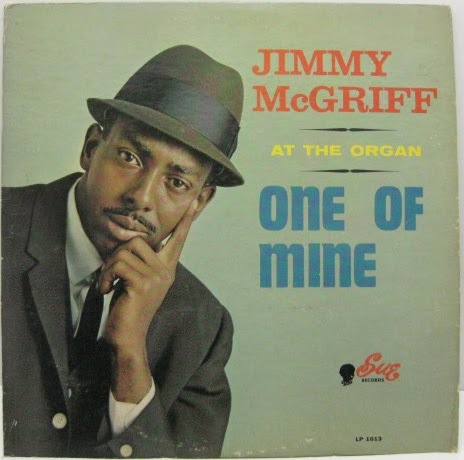 Well, thank you Jimmy McGriff for waking me up out of my stupor. I mean, check that photo out, folks. Tell me, how do you get much sharper than that? And before you tell me McGriff needs a French-cuff shirt, let me tell you that's what makes his look even better. 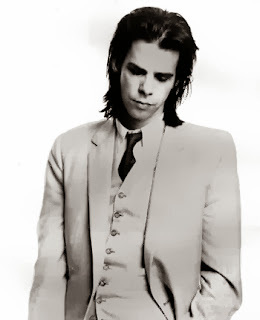 In this shot, he looks razor sharp while still keeping an air of ease. Sometimes, a simple non-cufflink-requiring shirt keeps your look within a casual realm despite the suit and tie. If you have this album at home, go ahead and pull it out. Yeah, you're admiring the subtle pattern of his suit right? And the color of the suit... hard to tell in the light I'm using, but looks like a charcoal grey to me, which is probably the most perfect suit color as it goes with pretty much everything. Alright, instead of blabbing on and on about how slick McGriff is, I should just play this record already. Alright, Jimmy... take us out. *Oh, and let's mellow on the Marriott/Weller pics, please. Played. Out. Things have been a little crazy 'round the Mod Male headquarters. I've been wanting to put up a Music picks post for months now, but well... it's been a tad difficult. But, I gotta get something up before year's end, so here are just some tracks I've been digging heavily since almost 6 months ago! 1. Rupert's People - 'Reflections of Charlie Brown' - Many people on Twitter and Facebook have been posting some great '60s freakbeat clips and have reminded me of many songs I used to LOVE years back but have kind of forgotten about over time. It's natural... you discover new music and you sometimes put away old faves. This Rupert's People track was brought back to my attention and got me back into wanting to pursue more of these late '60s British sounds. 2. Van Morrison - 'Warm Love' - My old pal Juan posted this one up on the ol' FB and, let me tell you, I played it over and over again for about 3 days straight. So much better than the actual recorded version, I think. It's that funkier beat that gets me. 3. 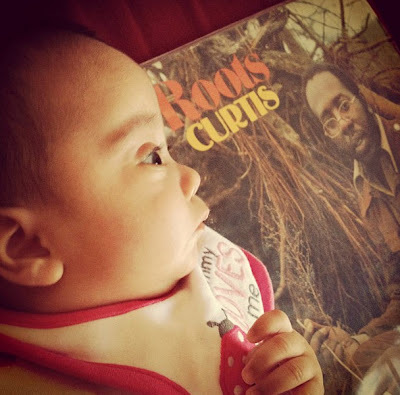 The Impressions - 'Love's Happening' - We have been on a BIG Curtis Mayfield kick over these last few months (okay, always on a Mayfield kick). But the other day, I pulled out This Is My Country, and was just floored all over again by how great this whole album is. Was hard to pick just one track, but this one is a pretty good indication of what you get. 4. Beachwood Sparks - 'Forget The Song' - One of my favorite things is coming home to a new CD my wife has picked up on a surprise whim. A few months back, it was the 'new' Beachwood Sparks CD (okay, a couple of years old, by now), Tarnished Gold. Friends, if you're a fan of that psychedelic country sound, hook up with this! It's been an almost daily play since she picked it up. 5. Big Sandy and His Fly-Rite Boys - 'Three Years Blind' - My wife scored twice in the last few months, the second time with the new Big Sandy release! Basically, a collection of re-worked songs from their catalog. And it's great! I was working one night and completely stumped by what she was playing. It took a while for me to realize it was, in fact, Big Sandy. The song that stumped me was 'Baby Baby Me'. No confusing his voice on this track, though! 7. Simon & Garfunkle - 'Homeward Bound' - Another song that helped welcome us to our new place. Really, when it comes to S&G, I don't need to say anything you haven't already heard. 8. Patti Smith - 'Gloria' - It was weird. After Lou Reed's death, I wasn't really in the mood for the Velvet Underground or his solo work. Instead, I found myself wanting to hear other New York sounds like Television and Patti Smith. I used to really like this stuff back in high school, but haven't heard it in years. In fact, I don't even own any Patti Smith records which is something I really need to correct soon. This particular cover is the one that hits me hardest. Just powerful. 10. Derek See - 'She Came This Way' - Alright, gotta give a shout-out to local boy Derek See with his recent 45 release. I got this in the mail right when we were moving and didn't come across it again until opening a box of books. This is a nice piece of heavy, moody vinyl for you. If I didn't know any better, I'd peg it at 1968, but nope... this is 2013! Man, looking back on this list, you all probably think I'm some mopey dude at home. Hey, what can I say? I like the slow jams when I'm home mellowing out. Alright, I'm out! Probably my last post of the year. Oh yeah, and if you want Mod gift ideas, oh I don't know... I hear there's Mod wine out there now. Go figure. This isn't actually the post I intended to write today. I was working on a completely different subject, but found myself leafing through the ol' primer... y'know, the Mods! book, and it hit me. This is the book I keep coming back to, and for good reason. It still remains THE book. According to what you hear from original Mods who were around during the time-frame of the book, their were other local scenes left out of the history. We only received info on a portion of the 1960s Mod scene. But you know what? Everything else about this book really is amazing! Sure, many stories of other Mod scenes of the time were left out, but soon, hopefully, we'll get to read those stories. (Many gaps within the Mods! book have already been filled in over on the Original Modernists FB group.) But the info that we do get from the Mods! book is immense. Think about it... Richard Barnes, helped by Johnny Moke & Jan McVeigh (or the other way around, I'm not sure), pack an enormous amount of detailed information into only 18 pages of text. Eighteen! And these few pages have inspired so many people over the years... they've helped keep alive a vibrant subculture more than any other book since. And sure, many great books have come along, but none have had the impact Mods! has had. And talk about 'attention to detail,' man... Mods! has it in droves! It's this attention to detail that many of us have eaten up, absorbed, and reflected in our own personal styles. And this detailed text is probably why some treat it as a Bible that must not be disobeyed. Yes, some people practically keep this book in their back pocket, ready to pull it out at a moment's notice to call out Mod fashion offenses. (Guilty!) And this does become a complete drag when people use it to limit their outlook on the culture. In reaction, many out there now call out that 'there are no rules' when it comes to the Mod thing. I can see their point... to a point. But, lately, thinking about this more, something troubles me about this. After discussing with a friend, a good point was brought up. Claiming there are no rules sort of makes it easy to get away with abandoning what makes the Mod thing so special: those perceived 'rules'. For me, what made the Mod look so interesting was the framework laid out in the Mods! book. It described, in minute detail, a particular look that was adhered to, even though the look was constantly changing. Trouser bottoms that varied between 14" and 17"; two, three, or four-button jackets; mohair suits and linen jackets; and winklepicker, almond-toed, or 'mock croc' shoes. 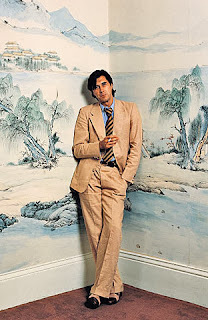 It was all of this, and the attitude behind this aesthetic, that set the look apart from any old fashionable look found in GQ's flavor of the month. There were rules! And we loved those rules! It helped us learn about a culture we were missed out on the first time around. A culture we were still heavily inspired by. We even had our own rules we developed when we were younger. I remember we had our rules geared toward belts and belt loops: loops had to be around 2 inches wide and the belt had to have a center buckle (Thanks, Paola, for reminding me about this!). We had attitudes toward how shirt collars were worn. Had to be held down, either by buttons, collar pins, or tabs (the last two needed a tie, of course). If you weren't wearing a tie, you didn't button the top button of the shirt... why look uptight? I remember altering some shirts to add in fake buttons just so it'd look like I was wearing a button-down collar. I still have one of those shirts! Although I wasn't around, I do remember hearing about rules the San Francisco Mods had toward their dress. I remember hearing about the rules Berkeley Mods had toward their dress. Heck, maybe you and your friends developed your own rules too, adopted from what you learned from Mods!. Okay, look... it's like photography, music, or art. (Yes, I'm going there.) In photography, there are rules of composition. In music theory, there are rules involved with chord progressions. And in painting/drawing, there are rules involved with color theory, composition, and harmony. Most of the world's greatest masters knew these rules in their particular fields. But knowing these rules meant they also knew how to break them. And that's the key. By breaking the rules, they were able to push those fields forward. Like many have said before, remember, Picasso did know how to draw. And yeah, many of these 'rules' are what were described in that Mods! book. I'm looking through it now and finding myself filled with the same excitement I had when I first started learning about Mod stuff. Even when I get down on this book, I can never ignore the impact it's had on me and many others. This is the book that taught me what 'attention to detail' really meant. It taught me the detailed basics of a Mod jacket. It taught me what backcombing was. It taught me what chisel-toed shoes were. And it taught me that, yes, there is a framework to the Mod look that we can use today and, if we understand the 'rules,' we can know how to break them. And remember, there's so much more to a Mod look that just being stylish. Pick up the Mods! book and see for yourself. Okay, y'all have to bear with me a little. I'm a tad rusty with this blogging business, it's been so long. Gotta brush up on these keyboard skills. But never fear. I don't plan on using this blog to talk about the trials of being a new parent while trying to maintain a certain Mod-centric aesthetic. Okay, some of that may bleed into these posts... it's only natural. Just know that having a child hasn't changed my perspective on the Mod thing. Pleated khakis, 'comfortable' flip-flops, and Barney DVDs still don't appeal to me. Young '80s mod couple frolicking along the shore of Brighton Beach. They're in love. They laugh together, shop for records together, scooter-ride together. (Now, if you saw the commercial, let's be honest... this couple was a tad too slick to be an early '80s Mod couple, am I right?) Anyways, you know they're '80s Mods because of the punk rockers record-shopping next to them. Well, this couple is so in love and so mod that they buy MATCHING TARGET RINGS. Yes, you read that right. Matching target rings. Fast-forward 30 years and this couple is still together and still way mod. (Again, let's be honest... you can probably count on your fingers the '80s Mod couples who stayed together for 20 years still looking slick today.) They come home to find they've been burglarized and (gasp!) their target rings stolen. So, they call up the insurance company and by the end of the commercial, they're back to moddin' up the road on a scooter with the rings back on their fingers. 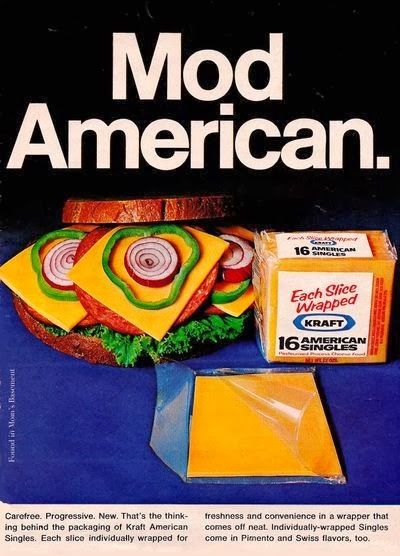 Now here's the big question: Should Mod types be happy that Mods are featured in (I assume) a nation-wide commercial for a practical product? Isn't insurance the most mundane, responsible, adult item one can purchase? And an insurance company is using Mods to sell itself? Once you get past the novelty of "Yay! 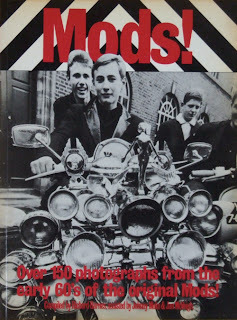 Mods on TV!" you're stuck with the fact that the idea of Mods really has become mainstream and (gasp, again!) part of the fiber of 'the establishment.' I hear the term 'iconic' used often in discussions of Mods these days. 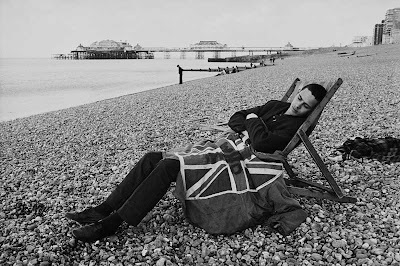 I'm under the impression that many British Mods are pleased that their subculture is a part of the iconography of their mainstream culture nowadays. (Thanks, Olympics!) Mods are so accepted these days that the imagery is used to sell everything from insurance to soft drinks to smart phones. Taken from the Advertising Is Good For You blog. Me, I didn't grow up in the 1960s so I have a lack of contemporary context and the benefit of accumulated history upon which to draw. And, probably to the chagrin of some 1960s originals, I'd kill for an actual pair of Lord John hipsters! But let's get back to happenings today. Mod isn't being used to sell records, acne cream, or cheese. It's being used to sell insurance. That says something about their demographic. In the U.S., 'hipster' imagery is what ad men use to sell things like insurance and soap. That says something about the demographic out here. What it says is that these images are so well-known and mainstream that they'll be acceptable to a mass audience that still thinks it's unique and special. Look, I don't wanna be the same as everybody else. That's why I'm a Mod, see? (Man, if I had a nickel for every time someone posted that in a Facebook comment...) But, as much as they don't want to be the same as everybody else, they love seeing Mod in the media, creating a potential for a world-wide Mod revival. They want to be surrounded by hundreds of other people not being the same as everybody else in the same way that they're not being the same as everybody else. Heck, they want to be part of a MOD ARMY. An army... y'know, a group of organized soldiers whose main purpose is to conform to the will of their superior officers. Conform... conformity... the thing I, personally, was trying to get away from when I first discovered Mods. And now, it seems like that's what Mods today are into. They want to be mainstream. They want the whole world to go Mod(!). Oh wait... I get it now. I understand the appeal for the mainstreaming of Mod. Pretty clever. 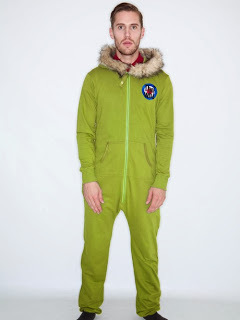 Mod Gone Wrong: The Mod Onesie! Finally... something to really write about! You guys... a Mod pajama for grown-ups! Someone took the idea of Mods sleeping in abandoned Brighton bomb shelters in their parkas (probably from Quadrophenia) and took it to the next logical step: a parka onesie! I think one of the best things about this image is the shocked look on the model's face. Even HE can't believe someone is selling this and making him wear it for the photo shoot. But I'd rather believe that this guy just woke up in his parka pajama and was a victim of an early morning candid photo flash. Now, maybe it's because I'm seeing more and more onesies in my life thanks to this little baby, but the thought has hit my mind, "What about us grown-ups?" I'm no ageist! Why can't we be waking up in comfortable onesies (preferably with feet) without being looked down upon in shame? Well, folks, now you can wear one at night with no shame at all, and you can do it advertising your favorite band to all your family and friends last thing at night and first thing in the morning. Heck, this takes all the hassle out of getting ready for bedtime after a good club night. Any single guys out there reading this? Imagine talking up that pretty girl at a club and winning her over after showing off your spiffy moves on the dance floor. Then, just as you're about to hop on your scooter with her on the back, you bust out with the onesie. All those bunk tickets in their actual badge-festooned parkas are gonna look at you with jealousy. See, in one swift move, you've gone from club wear to sleep wear without missing a beat in your Mod rhythm in front of your date. Recognize! Christmas is coming up and you're probably thinking I'm putting this at the top of my Xmas list. But, this year, in the spirit of the holiday, I'm going to pass on the opportunity in order to give everyone else a chance to get it as a gift. After all, I'm sure this will be a season sell-out. It would hurt my feelings if someone gave this to me as a gift while other, more deserving Mod types, missed out on it. So friends, a box of See's Candy in place of this great item will be perfectly acceptable this year. Image taken from one of my faves, the Anorak Thing blog. That's it. I'm done. I'm turning in my card. 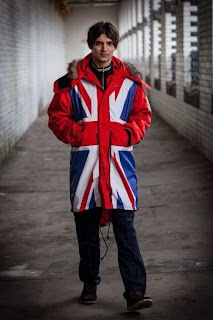 Seems we've reached the end of the comedy road: the Union Jack parka. 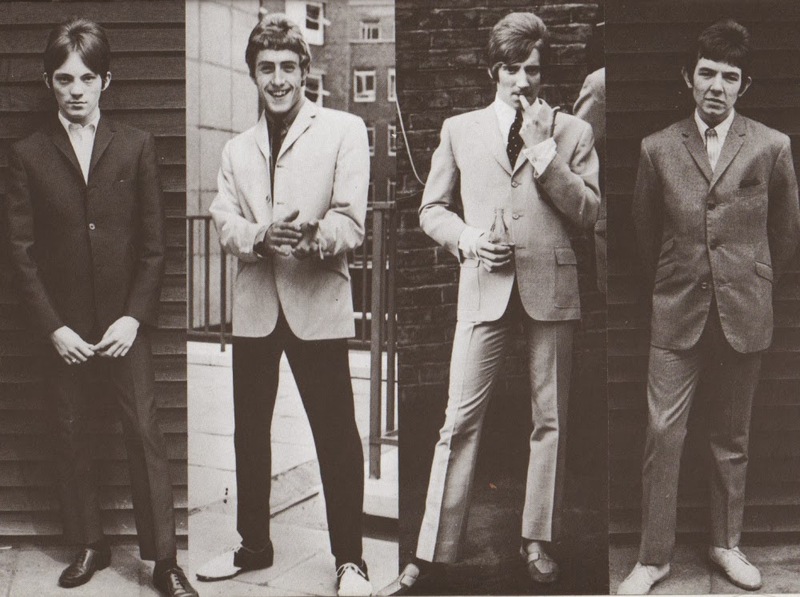 Image from We Are the Mods. Original source here. Taking people further down the dismal Mod rabbit hole. Image source. Because really, when you want to pander to a Mod crowd, what do you do? Put a Union Jack on it! 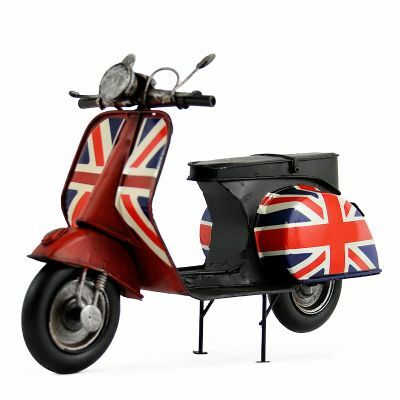 After all, we've had Union Jack scooters. 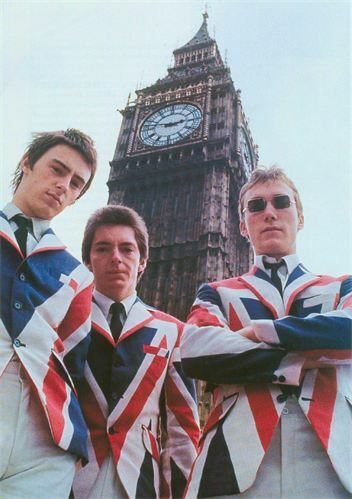 We've had Union Jack suits. 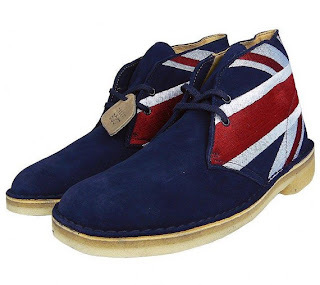 We've had Union Jack desert boots. Quadrophenia Jimmy wishes these were around back in the day, I'm sure. We've had Union Jack shirts. Fred Perry Union Jack, of course. 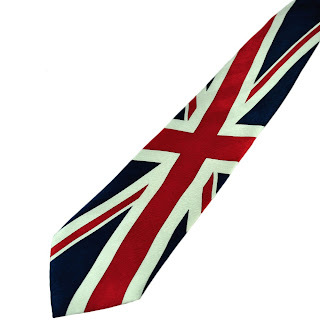 We've had Union Jack ties. 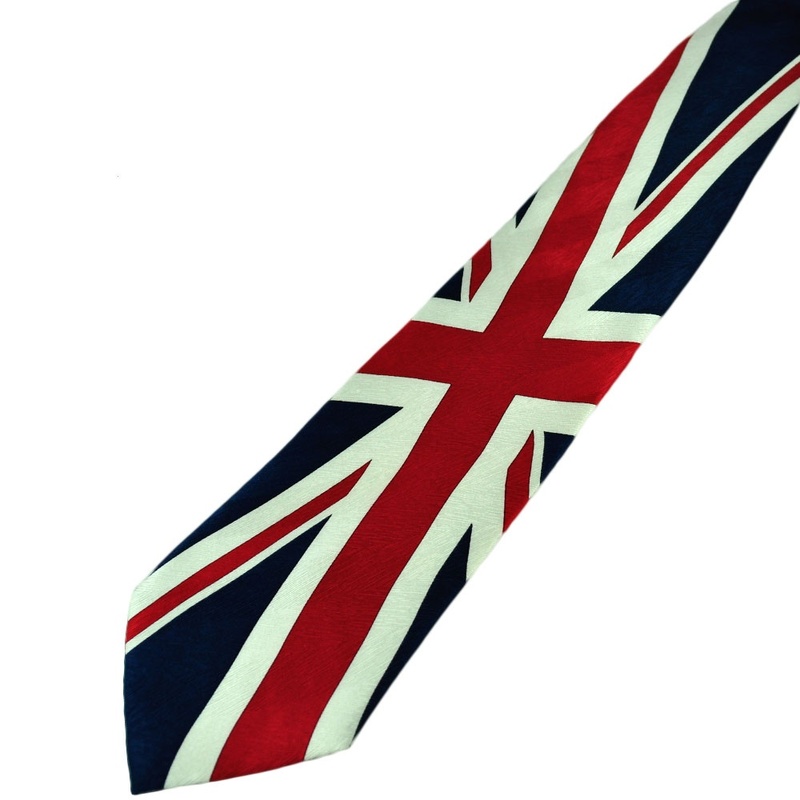 In case you're thinking of buying this, even the company refers to is as a 'novelty' tie. I guess this was the natural conclusion. I mean, what's left? A Union Jack Harrington? And there is an audience for it. That's been proven time after time. 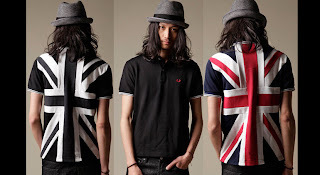 For every guy out there searching out a well-tailored button-down, french-cuff shirt with the perfect collar and detailed buttoning, there are ten guys happy with anything that has a Union Jack on it. 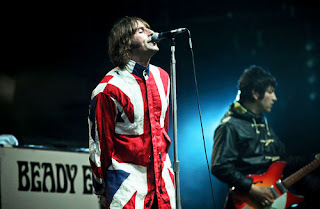 Hopefully, though, this Union Jack parka is the final straw on the back of the Comedy Mod camel. And hopefully, some of these new Mod labels will start to get more creative with their offerings. Think about all the different types of styles and detailings that were coming out of London at breakneck speed back in the 1960s. Sure, not all of it worked, but you still had some great pieces that stood out. These days, many new 'mod' clothing companies seem to go down the same weathered path laid down by original, iconic labels. Fred Perry has perfected the polo. Ben Sherman has perfected the short-sleeved button-down. Clark's has perfected the desert boot. And the 1950s U.S. Army has perfected the parka. You know what that leaves you with? A wide spectrum of new material and influences to draw from! Or... I guess just put a Union Jack on something. Student of Mod-ology since 1987. Digs sharp style, clean design, hip tunes, good books and films, and a nice glass of wine. Like MOD MALE on Facebook! Follow MOD MALE on Twitter! Meatloaf... its what's for dinner! Peter Meaden : I'm the face baby, is that clear . Thought You Were Rid of Me, Eh? Thought I'd Go Quietly, Eh? Reading Round-Up -- Yee Haw! Hello, hello I'm back again!! Copyright © 2011-2013 Carlos Perez. All Rights Reserved. DISCLAIMER: All opinions expressed in this blog are strictly my own. If you notice any inaccuracies or discrepancies, please feel let me know so that I can correct them. I try to credit all sources of information, images, and songs, but if you feel any content is being used without permission, please let me know by sending me an email. And please feel free to share your thoughts, similar stories, and agreements or disagreements. I can be opinionated, so don’t be shy to disagree!